Recovers Microsoft OST from corrupt files and converts OST to PST Outlook Format with OST Recovery Tool. Faster OST to PST Converter with 100% Safe and User-Friendly GUI. Recovers the deleted OST emails, folders, appointments, tasks, notes, calendar, journals, drafts, and etc. Recovers Email Meta Data such as To, CC, BCC, From, Subject, Time, Date etc. Supports Encrypted and Password-protected OST files. Imports OST files into Office 365 and a Live Exchange Server Mailbox. Splits large sized OST files into Smaller Outlook PST files format(s). Recovers permanently deleted OST email items and folders. Restores Offline OST files into PST, EML, EMLX, MSG, MBOX, and PDF format. Saves all the contacts and calendars of OST file to their separate formats such as vCard and vCal/ICS respectively. Supports large sized and oversized OST file recovery database up to 69.9 GB. Supports all the version of Microsoft OS Windows such as 2016, 2013, 2010, 2007, and 2003. Supports the versions of Microsoft Outlook such as 2000, 2003, 2007, 2010 (32/64 bit), 2013 (32/64 bit), 2016 (32/64 bit), and 2019. No file size limitation to export the unlimited OST files into PST file format. 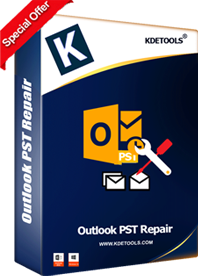 "Kudos Kdetools, I bought their OST Recovery Personal License to restore my password protected OST file data into PST format to use in Outlook 2016 and the tool is so quick and accurate with result. I got my data converted in .pst format in very short time and the information is untouched.!" Bedankt, de bestelling werkt heel goed en ik kon mijn OST-bestanden herstellen en OST converteren naar Outlook 2013 PST-bestandsformaat. Hartelijk bedankt voor je hulp . Das versehentliche Löschen oder das in MS Outlook konfigurierte Konto ist ein Grund, den OST-Dateityp in eine PST-Datei zu konvertieren. Vielen Dank an KDETools f r die wunderbare L sung. The OST file recovery software is designed to facilitate the users to save the OST files in multiple file formats options to Convert OST to PST, MBOX, EML, EMLX, MSG, vCard (Contacts), vCal (Calendars), and HTML. The OST file migration tool imports all the OST file items and folders to Online Exchange Server mailbox and Office 365 account. The tool has a "Message Filtration Option" to make the restoration process easier. The OST Recovery software provides various data filtration options, which help the users to recover the OST items according to their need. Splits PST Files: Splits OST files between 1 GB to 25 GB. Message Filtering: Select a date range to export data from a specific date range. Selected Item Export: Select items or folder on the Preview screen to export. The tool is a multi-tasking solution provider and the single software, which can convert OST, PST, and NST files to the desired file formats. The OST Recovery tool can import all the data on a Cloud Server such as Office 365 and Live Exchange user mailbox. The OST recovery software recovers all the OST items and folders such as Emails, Contacts, Calendars, Notes, Tasks, Journals, Inbox, Outbox, Sent Items, Drafts, Deleted Items Folders, and sub-folders. The advanced tool scans the corrupt OST files on 'Normal Scanning Mode' or 'Advanced Scanning Mode'. It depends on the corruption level of the OST file so it can repair the corrupted, damaged, encrypted and recovers data from the password protected OST file. The OST Recovery software has another feature, which allows the users to save contacts and calendars from OST file to .vCard and .vCal/.ICS format respectively. Using this option you are free to use your contacts and calendars at any supportable client. The OST Recovery software recovers the Meta Properties of the damage OST files such as CC, BCC, To, From, Date, Subject, etc. with attachments such as images, pdf, word, excel, and all others. The OST Recovery tool provides a complete preview of all the recovered items, folders, and other data before saving into other file formats. This option helps the users to check the data, which is recovered and maintains the originality of the file. The option is also available in a free demo version. The OST to PST Recovery tool supports all the versions of Outlook and MS Exchange Server. Microsoft Outlook: Supports all the versions such as Outlook 2016, 2013, 2010, 2007, and 2003. Microsoft Exchange Server: Supports all the versions 2016, 2013, 2010, 2007, and 2003 (SP1, SP2, and SP3). Microsoft Windows: Windows 10, 8.1, 8, 7, Vista, and XP. *Free download enables you to check OST file contents and save initial 30 messages. KDETools PST Recovery tool helps to recover Outlook PST data file & save in healthy form. KDETools OST to Office 365 migration tool can migrate OST file directly to Office 365 account.